JUSTICE FOR POOR MAID: WE ARE CALLING FOR POLICE INVESTIGATION ON THIS MATTER! This woman is allegedly shot by the man that she is working in his house as a maid. The man name Jamilu (with a traditional title as Barden Kano) is said to be from a royal family in Kano but lives in Barnawa Area of Kaduna. The man was taking an afternoon nap when his little daughter was crying. The cry woke him up and he asked after his wife and the wife was not in the house. He blamed the Nanny for leaving the daughter. So, he brought out two guns (long and short), aimed at the Nanny and fired her. 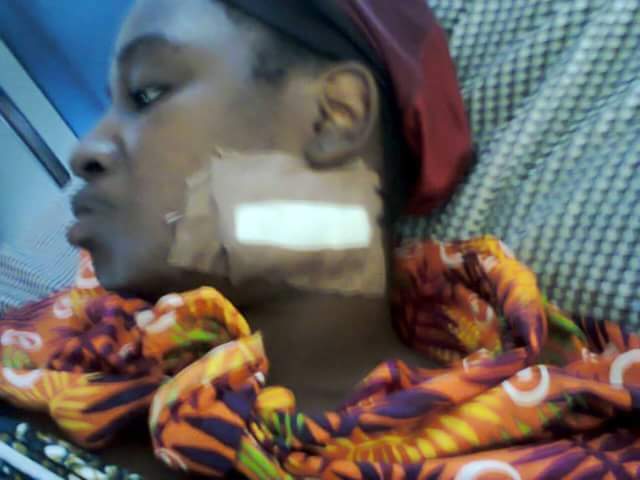 As she managed to step out from the house but, she fell down as a result of amount of blood she was bleeding. The man came down to plead with her and decided to take her to the hospital. He then, quickly called one of the Community leader and told him what happened, the leader called the CP. Now, from all indications, the narrative is changing, the man is going round telling people that he was servicing his gun and the there was accidental discharge which shot at his maid. To cover up this issue, the Lawyer said Jamilu made offer to bribe his maid and the Community leader. 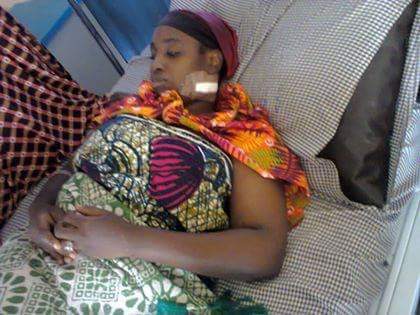 THE WOMAN IS LYING HELPLESS IN THE HOSPITAL IN KADUNA.